This statistic shows the number of employees in the wireless telecommunications sector for the United Kingdom (UK). Employment figures are from 2009 to 2012. 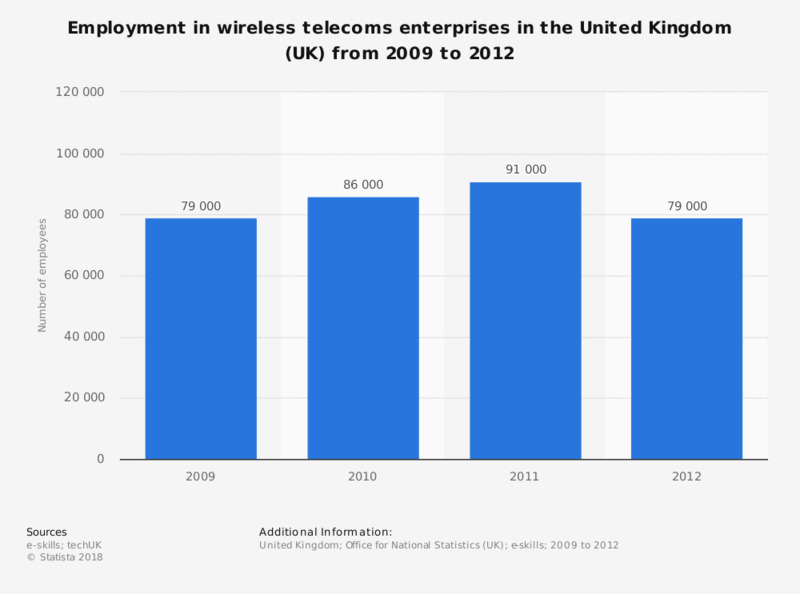 In 2009, in the UK, 79,000 people were employed in the wireless telecoms sector. In 2012, this number was also at 79,000 people, but it was the highest in 2011 when it reached 91,000 employees.